Lieut-Colonel GH Bourne's unit history of the 2nd Light Horse Regiment, AIF, included a section specifically related to the battle of Beersheba which is extracted below. The big scrap started before daylight on 31st, Tel el Saba, one of a range of hills about 1,000 feet high, and three miles east of Beersheba, was found to be held in strength. This was a foregone conclusion, as a glance at the map will show. Time being all important, the natural thing to do seemed to envelop the position and march around it to the east and get astride get astride the Beersheba -Jerusalem road. However, the 3rd Regiment and a regiment of NZMR Brigade were sent straight at it to make a frontal attack. Out C.O. was detached to command Brigade Advance Headquarters, and Major Markwell assumed command of the Regiment. 1st and 2nd Regiments were ordered down on to the plain to support 3rd Regiment if necessary and also to guard their left flank which was threatened. Tel el Saba was so well defended by machine guns (which our batteries could make no impression on) that the frontal attack could make no headway. About 1400 2nd Regiment was ordered to come into action on the left of the 3rd, and to cooperate in the attack on Tel el Saba We went in at the gallop and reached some mud huts about 800 yards from our objective. Here we dismounted and sent led horses back. Out 13 pounder guns, though well served, were making not the slightest impression on the Turkish redoubts; and additional guns were sent up to assist. That old veteran Lieut. Wassun was wounded, and while being carried away a shell again seriously wounded him, and killed one of the stretcher-bearers. Our coming in on the left of the 3rd Regiment drew the bulk of the defenders' garrison that way, thus, though we could not advance our selves, enabling the NZMR Brigade on the right to push up to the Turkish position; but not before we had sustained our heaviest casualty. About 1630, an enemy shrapnel bursting low, had killed Major Markwell. The loss of that most gallant Officer was irreparable. The following is an extract from Routine Order which expressed the opinion of all "The C.O. desires to place on record the severe loss to the Regiment, in the death of Major WE Markwell, DSO. His loyal and devoted services to the Regiment since its formation were exemplary. 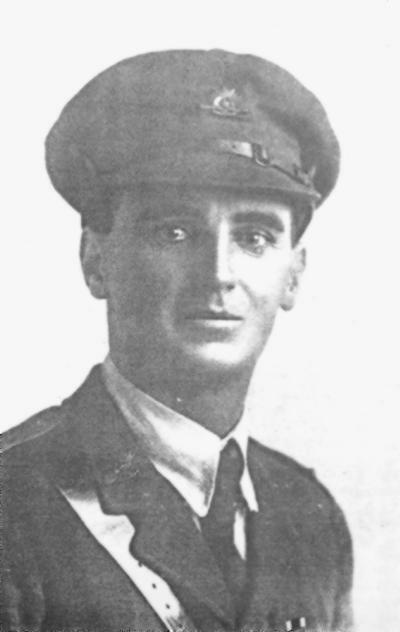 His courage and energy in the field, his ability and conscientiousness as an administrator, his frank and generous nature, as a comrade, combined to mark him as one of the finest soldiers in the AIF, and his untimely death before reaching his prime, while in temporary command of the Regiment, is a heavy blow to this unit in particular, and to the AIF as a whole." Killed: One officer and one other rank.